Do you dread going to networking events? Do you hide at the back of the room when you have the opportunity to present? In 1984 a New York Times Survey on Social Anxiety placed death third in the list of people’s biggest fears. The top two responses were walking into a room full of strangers and speaking in public. And death came third! During this show, business networking strategist Andy Lopata, and Business Development Strategist Peter Roper, will talk us through their top tips for networking and speaking and why their book is still as relevant today as it was when it was first published ten years ago! Peter Roper aka The Family Business Man helps family business owners to succeed with business development strategies designed exclusively for family firms. He’s worked in business development for nearly 40 years, initially in the corporate world and now with family firms. He’s also got practical experience about what it’s like to run a family business. That’s because over the last 20 years he’s run six family businesses. Three have been stunning successes and three have been fantastic failures. He’s experienced the joy of winning and the despair of losing everything. 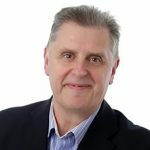 Known by many as ‘The Natural Presenter’ Peter’s particular love of working with people to improve their presentation skills led him to become National President of the PSA (Professional Speaking Association) in 2009 and the Chair of the PSA Foundation to this day. 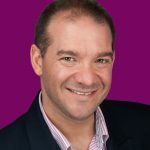 Peter has spoken to well over 500,000 people in his speaking career and has helped literally thousands of people to become great speakers and networkers.